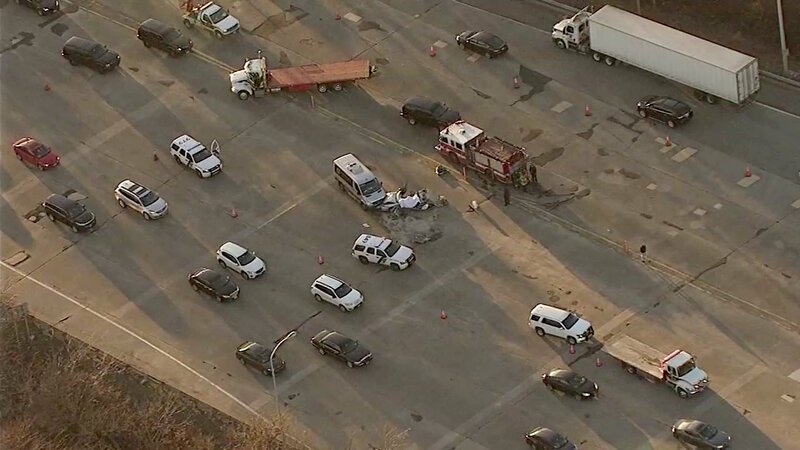 JERSEY CITY, New Jersey (WABC) -- Two people were killed in a crash on the New Jersey Turnpike late Monday afternoon, which backed up traffic for miles. It happened just before 3:30 p.m. in the westbound lanes of the Hudson Extension at Interchange 14C in Jersey City. The New Jersey State Police said three vehicles were involved in the crash, and four people were in all of the vehicles. One vehicle rear-ended another, causing the second vehicle to get into a head-on collision with a van. Two adults and one child were rushed to the hospital where two of the victims later died. The victims' identities have not yet been released.